Cosby told Washington’s WTOP radio station that the Obamas were examples of the parenting he’s challenged black America to strengthen. Bill Cosby, the entertainer-turned-activist known for his controversial comments on race, told Washington’s WTOP radio station Saturday that Barack and Michelle Obama were examples of the parenting and family values he’s challenged black America to strengthen. 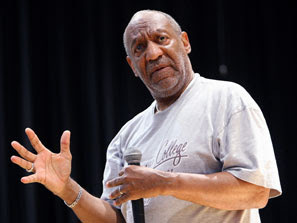 “There are statements made which tell us, you know, that people make it because they try,” Cosby said. Cosby brushed back the criticism that his past comments about African-Americans could be taken out of context by critics of the black community – taking a crack at Fox News commentator Sean Hannity in the process. The former “I Spy” and “Cosby Show” star’s comments came on the eve of an appearance on NBC’s “Meet the Press.” He is scheduled to appear Sunday opposite Washington Mayor Adrian Fenty and Congresswoman Maxine Waters (D-Calif.), less than 10 days before the inauguration of the first black president. Cosby stood by his controversial 2004 speech on the 50th anniversary of the Supreme Court’s school-integrating Brown v. Board of Education decision, in which he told the National Association for the Advancement of Colored People that stronger parenting and more supportive communities were needed to improve the condition of black Americans. In his WTOP appearance, Cosby also joked about Obama’s inauguration. Though Cosby’s D.C. media appearances are drawing special attention because of the historic nature of Obama’s inauguration, Cosby was initially skeptical about Obama’s national appeal. “How many Americans in media really take him seriously, or do they look at him like some prize brown baby?” he asked. The entertainer is scheduled to perform at the Kennedy Center for the Performing Arts on Jan. 24.